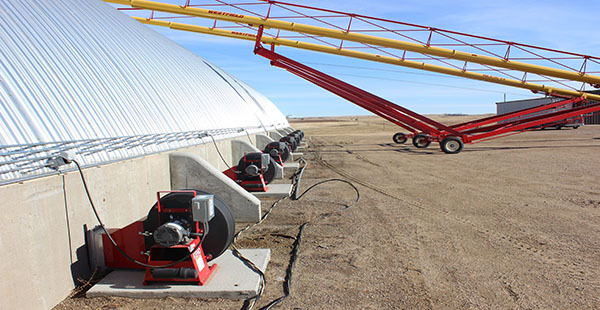 The Helfer Duct System is used to aerate grain at 1/10th of a cfm per bushel, cooling it down and preventing overheating or spoilage. 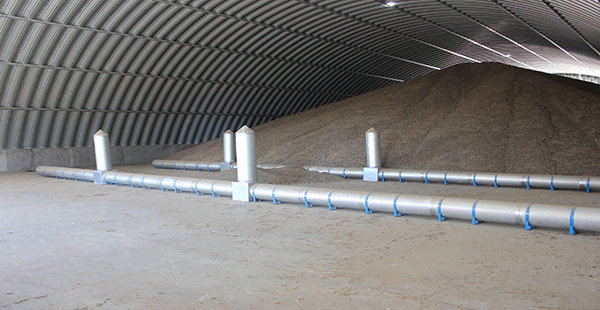 These systems are also used to keep the grain in condition and maintain its quality until it can be properly dried or cured. 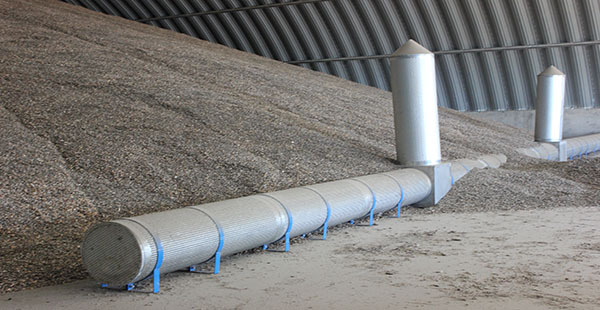 All duct systems have inner structural strength to withstand grain pressure and are easily assembled and disassembled. 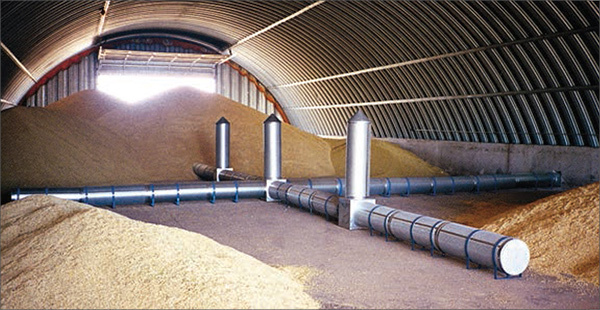 With large masses of grain stored in bins, quonsets, bunkers or crop circles, Helfer Duct Systems are a perfect fit. 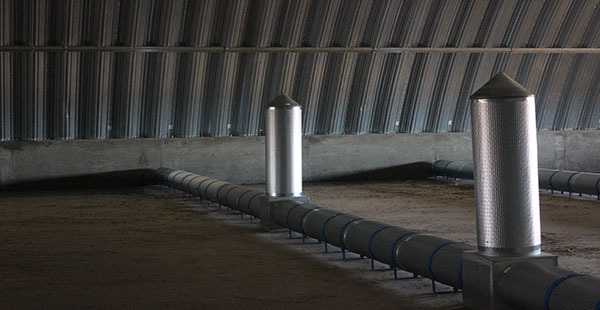 Duct systems can be designed and ordered to fit your specific building, bin size or crop circle. 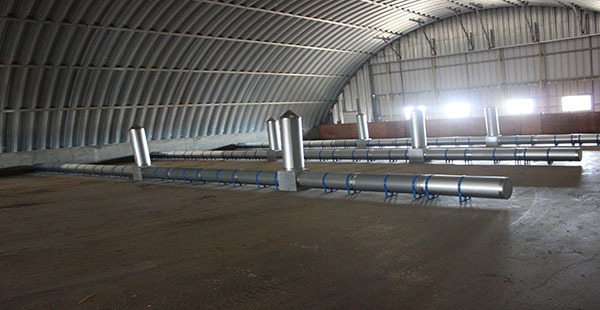 By indicating to us the size of the structure, we can custom design your system to work for you. 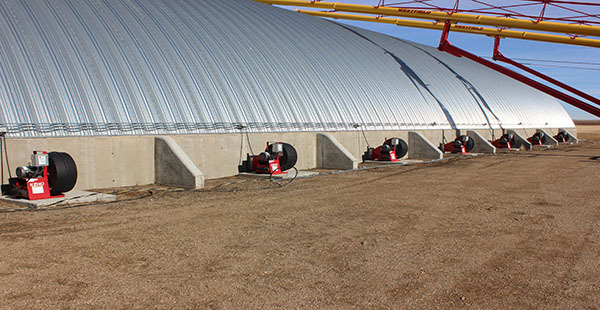 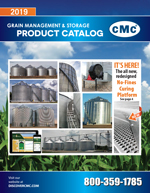 Designed for Hopper style grain bins, both smooth-wall and corrugated. 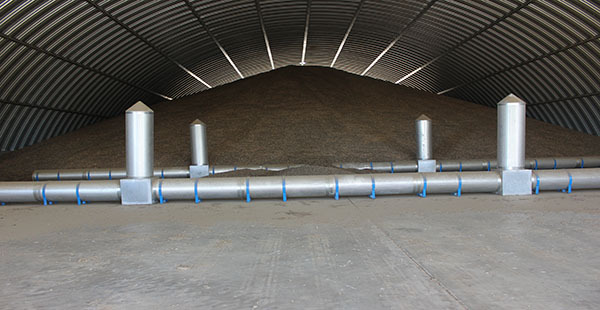 Like the no-fines floor, the Rocket system is used to maximize grain airflow through the grain mass. 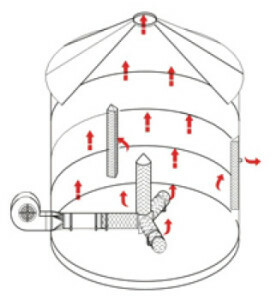 As grain is augured into the bin, fine grains collect in the center resulting in a dense, hard-packed core that is difficult for air to penetrate. 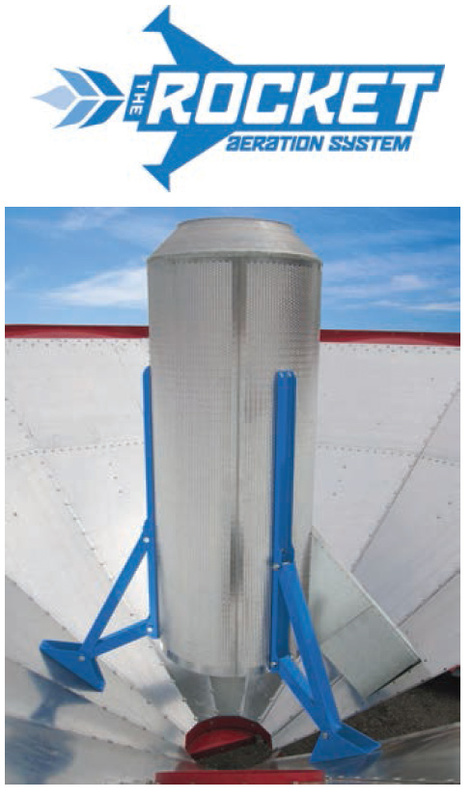 The Rocket’s unique louver design allows air to flow without the louvers being blocked by fines and grain particles. 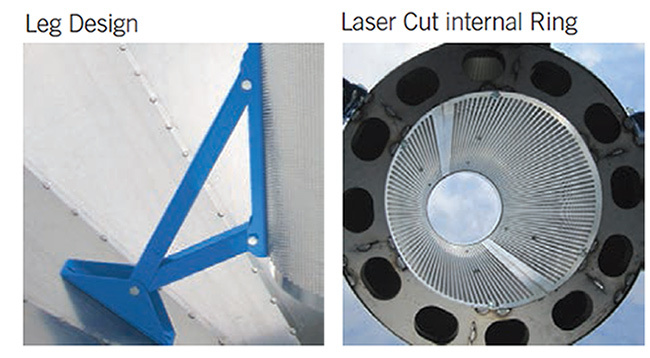 The louvers face downward so grain cannot plug the louver, allowing for maximum airflow.